The Treasury Department recently released long-awaited rules of guidance for how to apply the provisions of the Tax Cuts and Jobs Act of 2017 related to “Opportunity Zones.” The regulations can provide investors a fantastic chance to defer and even eliminate some capital gains tax. However, careful planning is necessary before any investments are made. These rules provide investors with some certainty as to the tax treatment of their investments in these opportunity zones. The tax act designates certain low-income areas as Qualified Opportunity Zones (Zones), in which taxpayers may enjoy deferral of prior gains and future nonrecognition by investing in real estate, businesses or entities holding Zone property such as a Qualified Opportunity Zone Fund or a Qualified Opportunity Zone Business. For the sake of clarity, an investment in a Zone Fund or a Zone Business (provided certain other rules are met) will count as an investment in Zone property. The locations of the Zones were determined by each state’s governor in conjunction with IRS certification and must have poverty rates of at least 20 percent to qualify. Once qualified, Zones retain their designation for 10 years. As a cautionary note, some of the opportunity zone maps dispersed by various sources show areas titled “eligible opportunity zones.” These areas do not qualify for the tax benefits associated with Zones and were not certified by the IRS. Let us begin with an example of a transaction designed to capitalize on the Zone benefits. First, we have John Q. Taxpayer, who has a stock portfolio worth $1.5 million. John’s basis in that portfolio is $1 million, which means John has $500,000 of capital gain. John sells the entire portfolio, which would normally trigger tax on his $500,000, but instead of just cashing out, John invests the $500,000 into Zone property. Not only does John not yet have to pay taxes, but if he holds the Zone property for seven years, he can exclude 15 percent of the deferred gain, and John will not have to pay those taxes until 2026. And 10 years after purchasing the property, once John’s equity in the Zone investment has risen to (in this example) $700,000, John can sell the property and pocket the entire $700,000 without paying another dime in taxes. So, by making an investment in a Zone, taxpayers can defer taxation on capital gains that would otherwise be realized on sale of a prior investment, provided that the gains are then put into a Zone investment. If a property in a Zone is held for five years, 10 percent of the capital gains invested in the property are added to the property’s basis. 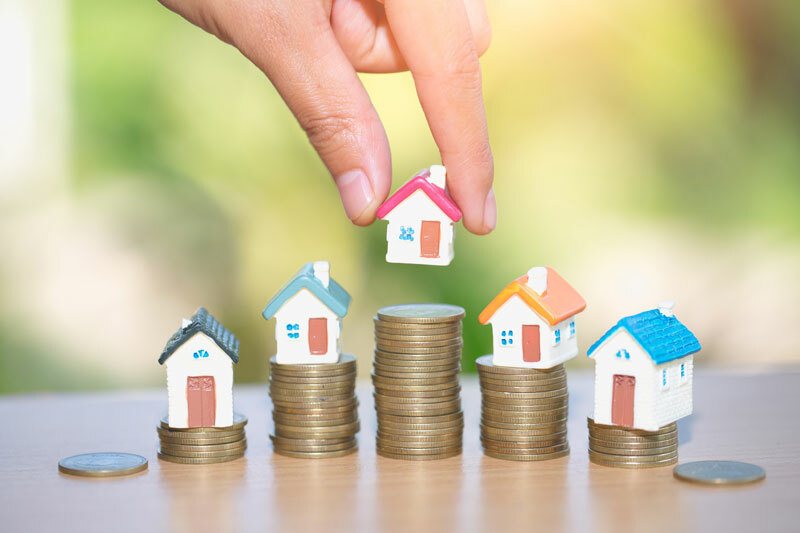 If the property in a Zone is held for seven years, the taxpayer may add an additional 5 percent (15 percent total) of the capital gain to the basis. However, since gains must be recognized by Dec. 31, 2026, taxpayers must invest by the end of 2019 to achieve the maximum level of exclusion. Beyond the deferral of capital gains initially invested into the property, the Zone provisions of the Tax Act as codified in IRC Section 1400Z-2, together with the guidance provided in Reg. 115420-18 and Rev. Rul. 2018-29, also allow for complete nonrecognition of any gain on the property itself, if the property is held for 10 years. This is achieved by a step up in the property’s basis to fair market value after the 10-year holding period. This is perhaps the most impactful aspect of the Zone legislation. Investments in Zones may be made by investing in a Zone Fund or a Zone Business, which may be a holding entity for Zone property. These funds and businesses are to be organized as corporations or partnerships, although the recent guidance has confirmed that other pass-through entities such as limited liability companies will also work. Any capital gains must be invested within 180 days after realization to be eligible for deferral, but there is no obligation to designate a Zone investment within that timeframe. Furthermore, to be eligible for the later step-up in basis, the funds must consist entirely of gains, and the basis underlying those gains will not be eligible, as illustrated in the example above. Any amounts invested that weren’t capital gains will result in a “mixed funds” transaction, which the IRS bars from enjoying the tax benefits of Zones. A “substantial improvement” to the property, where a taxpayer must spend as much on a building as he or she paid for that building (over the course of 30 months to allow for construction time). That being said, on a $1 million purchase of land and improvements (building), bifurcating that transaction to reflect an $800,000 purchase of land and a $200,000 purchase of improvements may make a “substantial improvement” more palatable. However, QBP is not limited to real estate purchases. Taxpayers can receive the same benefits by purchasing other types of tangible property located in a Zone. For example, if a taxpayer purchased a new commercial oven for “original use” in a restaurant located in a Zone, then that oven would count as QBP. As a caveat, however, the Treasury department has yet to provide guidance as to the meaning of “original use.” Thus, in the previous example, whether a purchase of a used commercial oven would qualify as QBP, and whether that would be determined by the oven’s place of purchase (in or out of the Zone), isn’t entirely clear. Furthermore, intangible property can qualify as QBP, provided that the property is used in the “active conduct of a trade or business” in a Zone. Accordingly, companies like tech startups, pharmaceutical developers and other businesses with significant intangible property can be Zone Businesses, and thus receive equity investments from Zone Funds. One thing to note before investing in Zone property is that, while 70 percent of a Zone Business’ assets must consist of Zone property, 90 percent of a Zone Fund’s assets must be Zone-related. However, for Zone Funds, that 90 percent can be made up of (a) Zone stock; (b) Zone partnership interests; or (c) Zone Business property. So while a Zone Business must actually own property in the Zone, a Zone Fund may make an equity investment in almost any qualifying business located in a Zone, such as startups as laid out above. Another thing to consider for developers looking into Zones is that the regulations provide a safe harbor for working capital. If working capital is held in a Zone Fund or Zone Business, it will not count toward the 90 percent asset test for 31 months, provided there is a written plan for using the funds for development, and only the funds needed for development are contained in the Zone Fund or Zone Business. This recognizes practicalities of development necessary for investment in Zones. For more information on the recent Zone regulations, contact Hunter Rouse at hrouse@greensfelder.com or (314) 335-6827. Greensfelder Officer Don Kennedy also contributed to this article.